Mildred Pratt is writing to ask if she and four other teachers can visit the school on an upcoming Sunday. 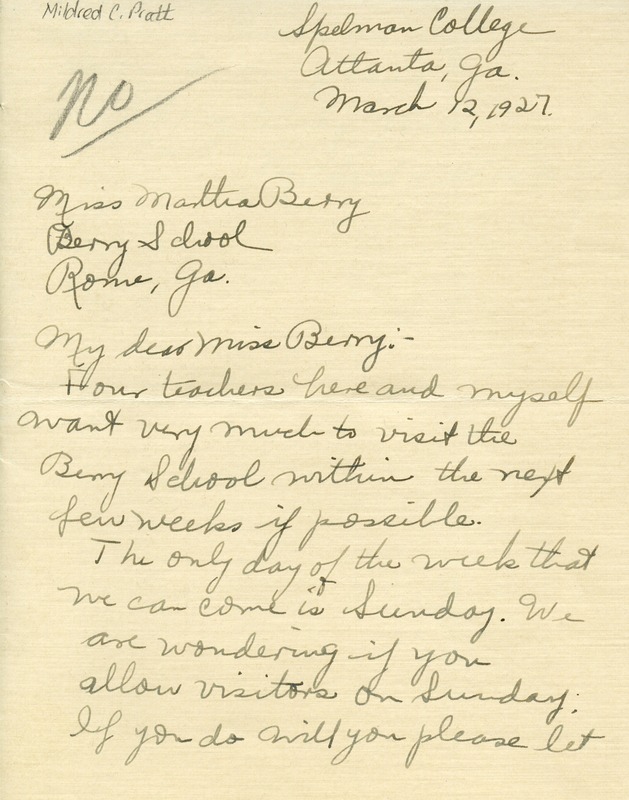 She requests that Miss Berry informs her if they allow Sunday visits so she may make plans. 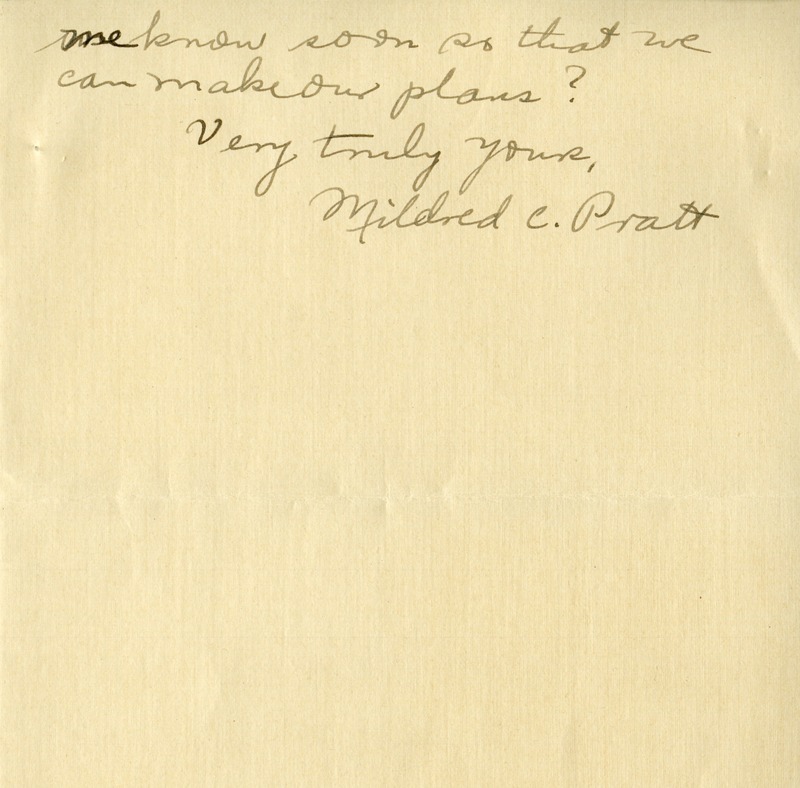 Mildred C. Pratt, “Letter to Martha Berry from Mildred C. Pratt.” Martha Berry Digital Archive. Eds. Schlitz, Stephanie A., Meg Ratliff, Allison Moore, et al. Mount Berry: Berry College, 2012. accessed April 20, 2019, https://mbda.berry.edu/items/show/5326.